Nwew Genuine Dell Latitude E7270 E7470 J60J5 Battery MC34Y 242WD GG4FM 7.6V 55Wh. MC34Y 1W2Y2 242WD J60J5 0J60J5. Dell Latitude E7270 E7470. Model : J60J5. Capacity: 55Wh / 4 Cell. Battery Type: Li-ion. 312-1392, 312-1390, 49VTP, 68DTP, 6KP1N, 8TT5W, FW1MN, MK1R0, PVJ7J, V8VNT, X29KDYGMTN, 24DRM, 4DMNG, 6HY59, 6XH00, 9K1VP, G019Y, MR90Y, T1G4M, VR7HM, XCMRD 312-1387, 312-1433, 4WY7C, 6K73M, 8RT13, DJ9W6, G35K4, N121Y, V1YJ7, W6XNM, XRDW2 0MF69. 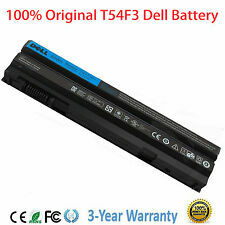 OPEN BOX OEM G5M10 Battery Dell Latitude E5450 E5550 Notebook 15.6" WYJC2 8V5GX. Shipped with USPS Priority Mail. JD25G 0N7T6 0DRRP RWT1R 90V7W 090V7W JHXPY 5K9CP. Trending at $41.79eBay determines this price through a machine learned model of the product's sale prices within the last 90 days. MPN: 0Y9HNT, CN-0Y9HNT, 9C26T, GVD76. Compatible Model: Dell Latitude E7240 E7250. Capacity: 31Wh (2792mAh). Compatible Product Line: Latitude. Genuine OEM E7440 PFXCR 34WH 34GKR Battery For Dell Latitude E7450 T19VW F38HT E7000 New. F38HT G0G2M PFXCR T19VW. 34GKR MGH81. Dell Latitude E7450, E7440 Series. Dell Latitude 14 7000 Series. Do not put the battery into water and fire. GVD76 / WD52H / KWFFN / J31N7 / HJ8KP / NCVF0 / W57CV / VFV59 / 451-BBFX / 451-BBFT / 451-BBFV / 451-BBFY. DELL Latitude E7250 Ultrabook. DELL Latitude E7240. Compatible Product LineFor Dell Latitude. 04NW9 / 4YRJH / 8858X / 8P3YX / 911MD / HCJWT. KJ321 / M5Y0X / NHXVW / P8TC7 / P9TJ0 / R48V3. PRRRF / RU485 / T54F3 / T54FJ / UJ499 / YKF0M / X57F1. Capacity: 97WH. Latitude E6430. Latitude E6430 ATG. 04NW9 / 4YRJH / 8858X / 8P3YX / 911MD / HCJWT. KJ321 / M5Y0X / NHXVW / P8TC7 / P9TJ0 / R48V3. PRRRF / RU485 / T54F3 / T54FJ / UJ499 / YKF0M / X57F1. Capacity: 60WH. Latitude E6430. Latitude E6430 ATG. DELL Latitude 12 7000 Sereis ELL Latitude E7240 DELL Latitude E7250 Ultrabook. GVD76 WD52H KWFFN J31N7. HJ8KP NCVF0 W57CV VFV59. Model : WD52H. Battery Condition : New and Genuine. MC34Y 1W2Y2 242WD J60J5 0J60J5. Dell Latitude E7270 E7470. Capacity: 55Wh / 4 Cell. Battery Type: Li-ion. Compatible Part NO Condition: New. We are always here to help you. Dell Precision M3800 Series. Battery Type: Li-ion. And we keep tracing on it. ❤ High-quality ☀ Good service ❤. Provide the BEST SERVICE For YOU! ◇ Fit For ◇ We will always try our best to make you satisfied. 4YRJH 8858X 8P3YX 911MD HCJWT. KJ321 M5Y0X NHXVW P8TC7 P9TJ0 R48V3 RU485. T54F3 T54FJ UJ499 YKF0M X57F1 04NW9. Dell Latitude E6430, Dell Latitude E6520, Dell Latitude E6530. E5420 E6420 E5520 E6420 ATG. Dell KR-0UJ499-71769-482 KJ321 Laptop Extended Battery Slice. We keep a smaller portion of each sale. 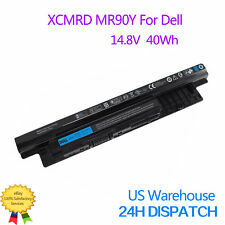 Compatible Part Numbers: Dell Inspiron Gxvj3, Hd4J0, Hd4Jo, K185W, Ki85W, M5Y1K, M5Yik, Wkrj2, VN3N0, 451-BBMG. N3451, N3452, N3458, N3551, N3552, N3558, N5451, N5458, N5551, N5555, N5558, N5559, N5755, N5758, 14-3451, 14-5455, 14-5459, 15-3552, 15-5551, 15-5555, 15-5559, 15-5758, 17-5758, 5455, N5455, 5459, n5459, 5559, n5559. 7WV3V, H4PJP, JR6XC, YFDF9, YFOF9, 5MTD8. Capacity: 58Wh;. Dell Latitude 3340 Series. Dell V131 2nd generation Series. Battery Cells:6 Cells. Replace Part Number. 312-1123, 312-1127, J70W7, JWPHF, R795X, WHXY3. Capacity: 90WH. Cell: 9 Cell. Compatible Models . G5M10 / 0WYJC2 / 8V5GX / R9XM9 / WYJC2 / 1KY05 / 080-854-0066. Dell Latitude E5250 Dell Latitude E5270. Dell Latitude E5550 Dell Latitude E5570. Dell Latitude E5450 Dell Latitude E5470. Genuine Battery, Money back guarrantee， 3 year warranty. 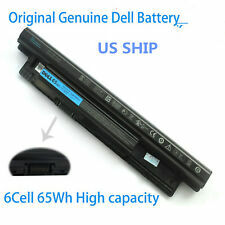 Battery Type: New 7.6V 55WH Built-in Kyle Battery For Dell Latitude E7270 E7470 MC34Y J60J5 Series. 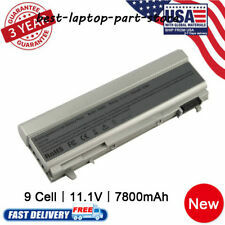 Battery Type: New Genuine 7.6V 55WH Built-in Kyle Battery For Dell Latitude E7270 E7470 MC34Y J60J5 Series. Capacity: 97Wh. Latitude E6420. Latitude E6420 ATG. Latitude E6420 XFR. Latitude E5420. Latitude E5420 ATG. Latitude E5420m. Latitude E5430. Dell Inspiron 3451 3452 3458 3551 3552 3558 5451 5458 5551 5555 5558 5559 5755 5758. Dell Inspiron 14 3000 series : 14-3458 14-3451. Dell Inspiron 14 5000 series : 14-5451 14-5455 14-5458 14-5459. Dell Inspiron 15 3000 series : 15-3451 15-3551 15-3552 15-3558. 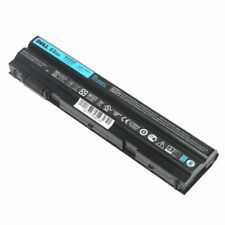 Compatible ModelDell Latitude 14 7000 E7440 3RNFD 451-BBFV 34GKR. 34GKR 451-BBFS 451-BBFT. PFXCR T19VW. DELL Latitude E7440 Series. DELL Latitude E7440 Touch Series. DELL LATITUDE E7440 Series. Compatible Product LineFor Dell Latitude,Dell Latitude 14-7000 Series,Ultrabook. (VR7HM / W6XNM / X29KD / XCMRD / XRDW2. Inspiron 17 (3721 3737). Inspiron 15 (3521 3537). Inspiron 14 (3421 3437). Inspiron 14R (5421 5437). Dell Inspiron 14（Ins14VD-2306). Inspiron 15R (5521 5537). Dell Inspiron 14（Ins14VD-2308）. Latitude E6430. Latitude E6430 ATG. Latitude E5420. Latitude E5420 ATG. Latitude E6420. Latitude E6420 ATG. Latitude E6420 XFR. Latitude E6520. Dell Latitude E5250. Dell Latitude E5550. Capacity: 38Wh. Dell Latitude E5450. Dell Latitude 12 5000. Dell Latitude 3150. Dell Latitude 3160. And we keep tracing on it. 0GU715, 0H1391, 0MP307, 0P018K, 0RG049, 0TX283, 0W0X4F, 0W1193, 1M215, 312-0215, 312-0748, 312-0749, 312-0753, 312-0754, 312-0910, 312-0917, 12-7414, 312-7415, 451-10583, 451-10584, 451-11376, 451-11399, 453-10112, 4P887, C719R, DFNCH, FU268, FU274, FU571, GU715, H1391, KY265, KY266, KY268, KY477, MP303, MP307, NM631, NM632, P018K, PT434, PT435, PT436, PT437, R822G, RG049, TX283, U844G, W0X4F, W1193. Compatible Part Number 1:312-1323 312-1324 312-1325 4YRJH 8858X T54FJ M5Y0X. Dell:312-1163,451-11704,HCJWT,312-1242,X57F1,M5Y0X,T54FJ,KJ321,T54F3,NHXVW. Compatible Model 3:Latitude E6420 XFR, E6430, E6430 ATG, E6530. J1KND 4T7JN 312-0234 04YRJH 9T48V 383CW W7H3N 312-0233 451-11510 07XFJJ 9TCXN YXVK2. DELL Inspiron 14 Series DELL Inspiron 14 3420 Series DELL Inspiron 3420 Series. 15R N5110 N5010D-148 N5010D-168 N5010 N5010D-148 N5010D-168 N5010D-258 N5010D-278 5010-D330 5010-D370HK 5010-D382 5010- D430 5010-D460HK 5010-D480 5010-D481 5010-D520 N5010R N5030 N5030D N5030R N5040 N5050. Part Number: UD264. - Vostro 1000. - Inspiron E1505, 1501, 6400. - Latitude 131L. 09K6P / 0F7W7V / 11HYV / 312-1239 / 312-1241 / 312-1381 / 312-1446 / 3W2YX / 451-11702 / 451-11703 / 451-11704 / 451-11979 / 451-11980 5X317 / 7FF1K / 7M0N5 / 823F9 / 9GXD5 / 9P0W6 / CPXG0 / CWTM0 / F33MF / F7W7V / FHHVX / FN3PT / GYKF8 / HGKH0 / HJ474 / J79X4 / JN0C3 / K4CP5 K94X6 / KFHT8 / MHPKF / NGXCJ / R8R6F / RCG54 / RFJMW / RXJR6 / TPHRGFRR0G / FRROG / V7M6R / WJ38 / WJ383 / WRP9M / Y0WYY / Y40R5 / Y61CV / YJNKK. 310-9080, 312-0383, 312-0386, 312-0653, 451-10298, 451-10422, GD775, GD776, GD787, JD605, JD606, JD610, JD616, JD634, JD775, KD489, KD491, KD492, KD494, KD495, NT379, PC764, PC765, PD685, RD300, RD301, TC030, TD116, TD117, TD175, TG226, UD088.